In the last episode of SBS's 'Laws of the Jungle in Panama' on February 26, actor Park Yoo Hwan shed tears as he talked about his brother, Yoochun, who was the fatherly figure in his life. The production crew had presents prepared for the cast members, and these gifts were none other than letters from their family. 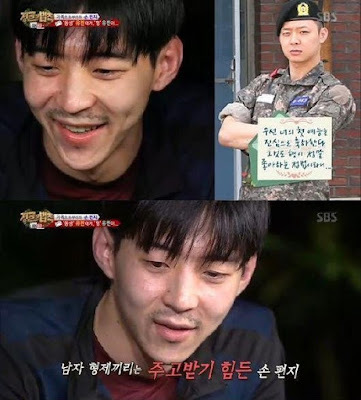 As Park Yoo Hwan read his letter from his brother, Yoochun, who's in the army right now, he could not help but shed tears. Opening up, he explained, "My father passed away three years ago. I was close to my father, but in America, my parents divorced, and I was unable to spend a lot of time with my father. My brother was like my father. I'm very sorry and thankful."